Plano Garage Doors offers advice and help in making the right choice when it comes to a new garage door for your house. We can advise you on the best materials and types to match your home, your preferences, and your budget; so that you know you are pleased with your final decision. We can offer you information regarding the pros and cons of steel versus wood, or wood overlay doors. Any questions you have about garage door installation - our staffs have the answers! 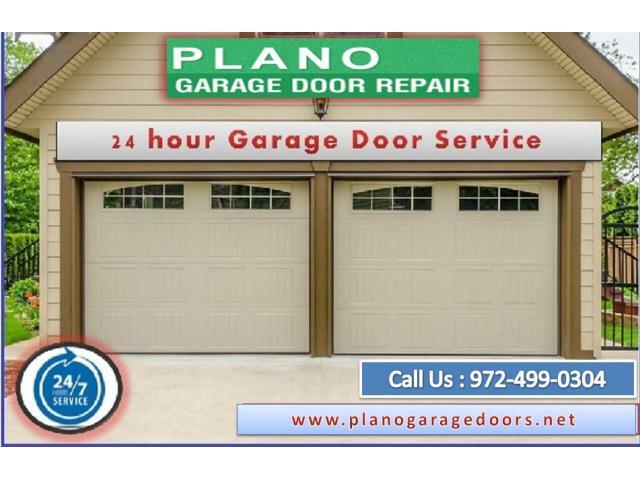 Call us (972) 499-0304 for garage door repair.